It has been more than twenty-five years since the death of Michel Foucault, one of the last century’s most crucial philosophers, as well as just as many years since the publication of the final two volumes of The History of Sexuality. 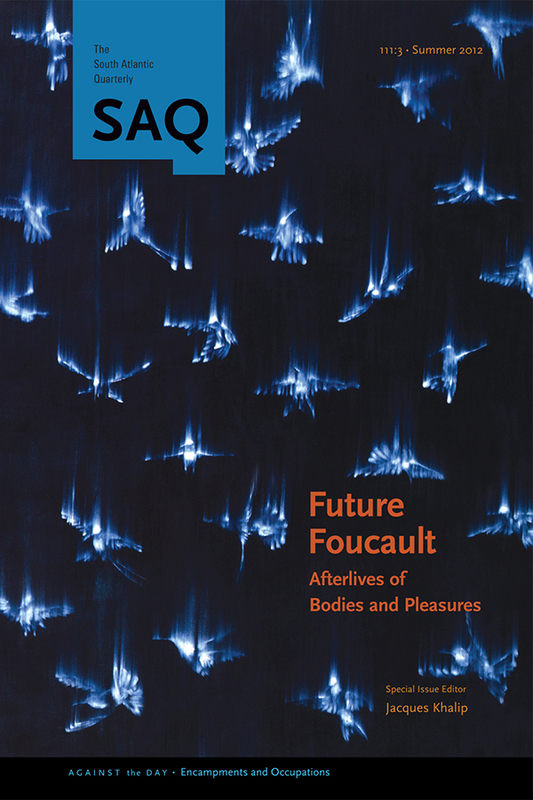 Since then, an extraordinary body of interdisciplinary scholarship has emerged around the work of Foucault, with much attention focused on his writings on ethics, neoliberalism, governmentality, biopolitics, and war. The introduction considers notions of futurity, openness, and risk in Foucault’s thought and how such notions intersect with his various projects of relationality. Throughout all of Michel Foucault’s work there is an uncompromising, albeit tacit, refusal to posit "society" as an object of knowledge and control. Rather, there emerges in various texts a thought of the common as the object of sense rather than of cognition. This essay attempts to elaborate that sense of the common, to note some of the more obvious consequences for the epistemological claims of the social sciences, and to suggest something of the consequences for political thought and practice. This essay examines Michel Foucault’s reflections on self-formation in the shadow of the insurrection of subjugated knowledges. If, as Foucault argues in The Government of Self and Others, the conditions of the otherwise lie in the radically potential spaces of a kind of truth speaking (dire vrai, parrhesia), what political and theoretical weight will be given to the exhausting conditions of these spaces? The goal of this essay is not to solve this paradox ontologically, but to face it sociologically, not to develop an ontology of potentiality but to understand the dwelling of potentiality. The essay begins by examining will, risk, and exhaustion in Foucault’s late works, then turns Giorgio Agamben’s reflections on potentiality and thoughts on will, effort, and mental habit from the American pragmatists William James and Charles Sanders Peirce.